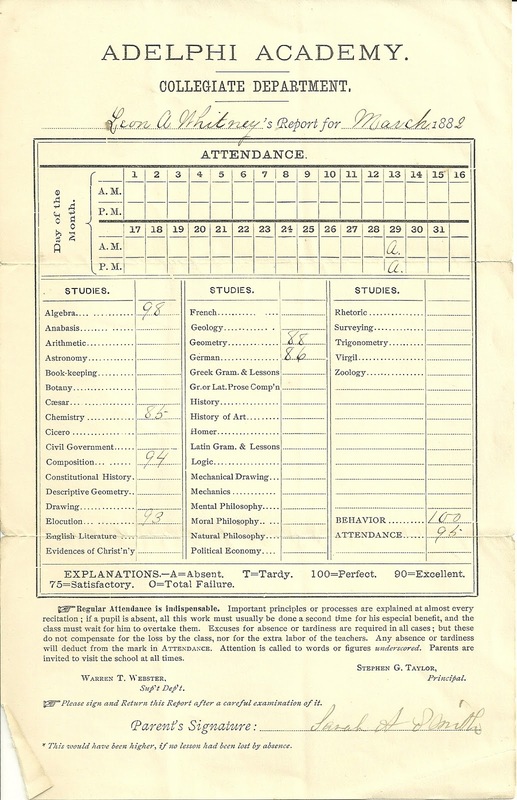 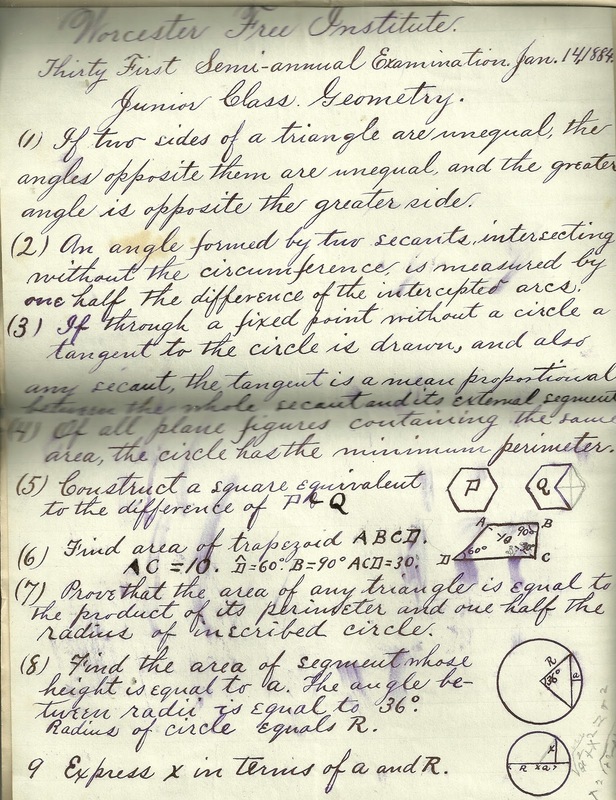 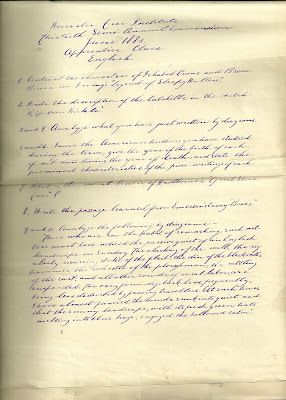 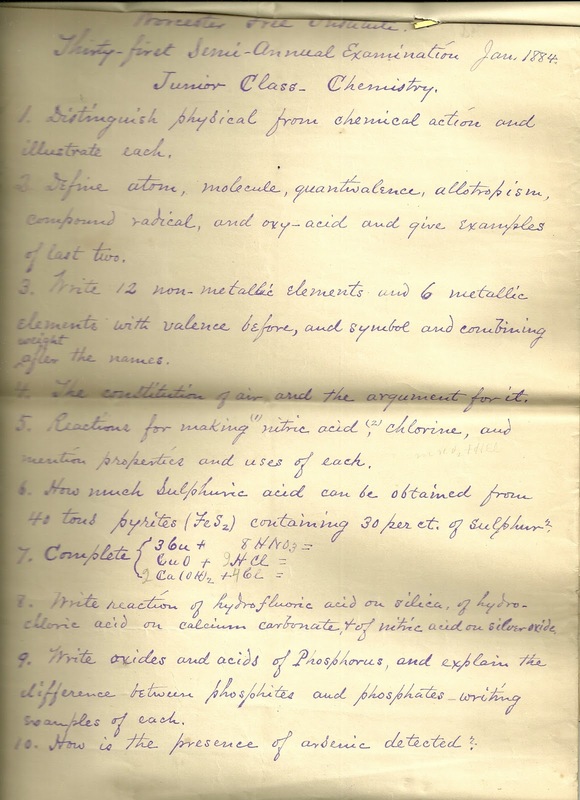 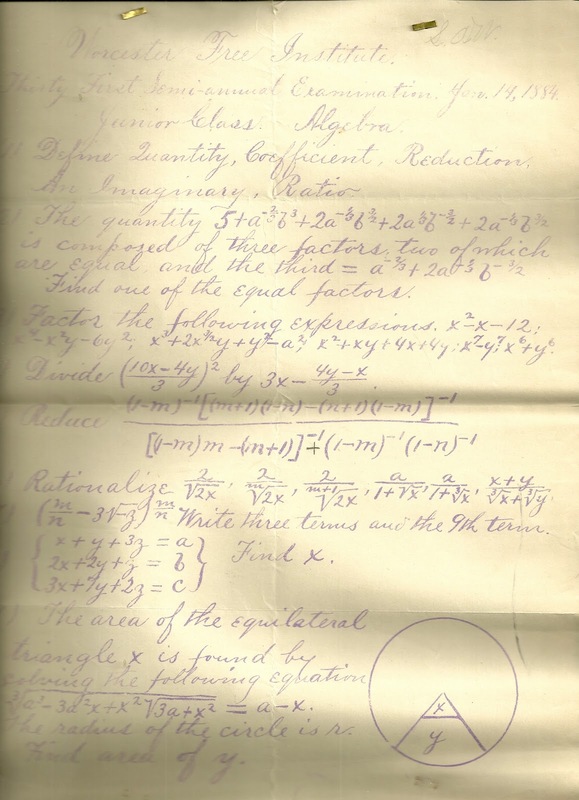 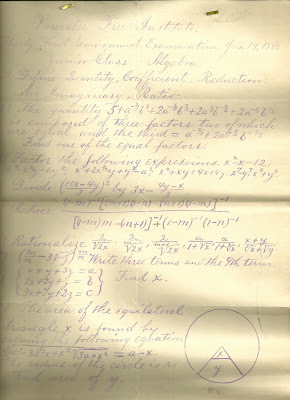 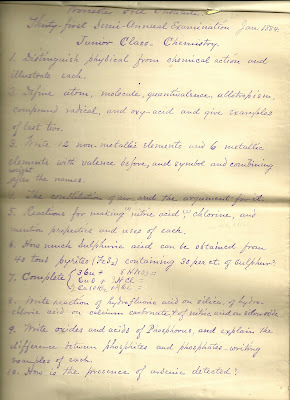 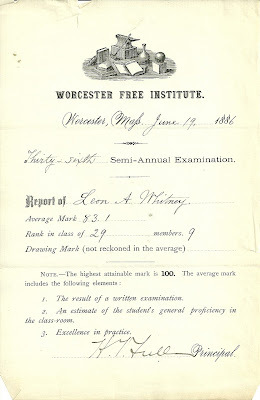 Four academic reports for Leon Augustine Whitney while a student at the Worcester Free Institute at Worcester, Massachusetts, all signed by H. T. Fuller - Homer Taylor Fuller. 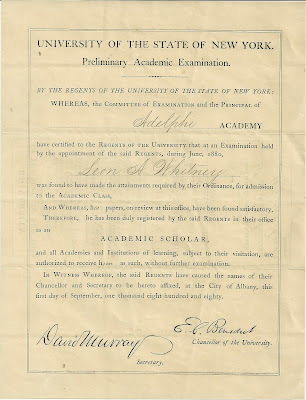 Leon Augustine Whitney was born 29 April 1864 at Westminster, Massachusetts, in Worcester County, the son of Augustine and Mary Amanda (Titus) Whitney, both born in Westminster, Massachusetts. 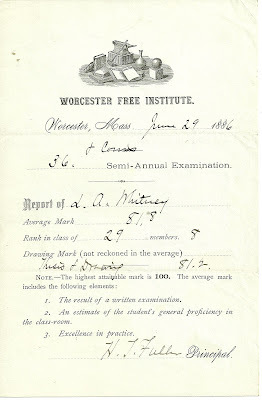 His paternal grandparents were Nathan and Anne M. (Whitney) Whitney of Massachusetts. 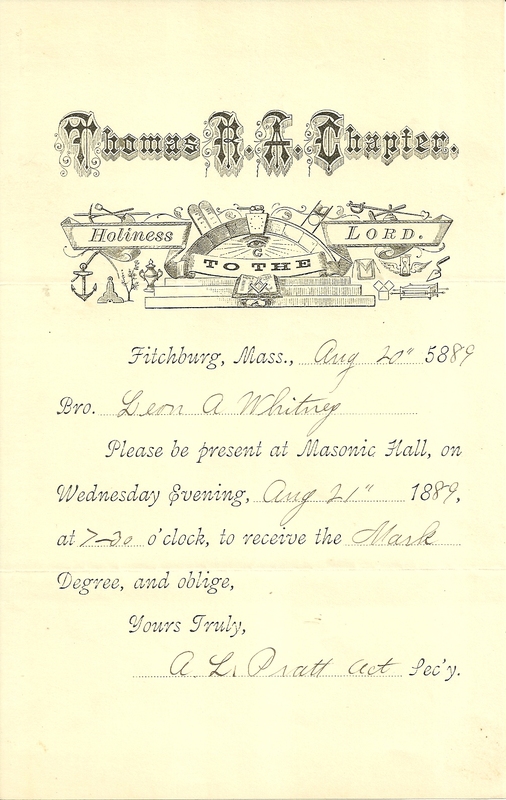 His paternal grandparents were Otis and Sally (Minott) Titus of Massachusetts. 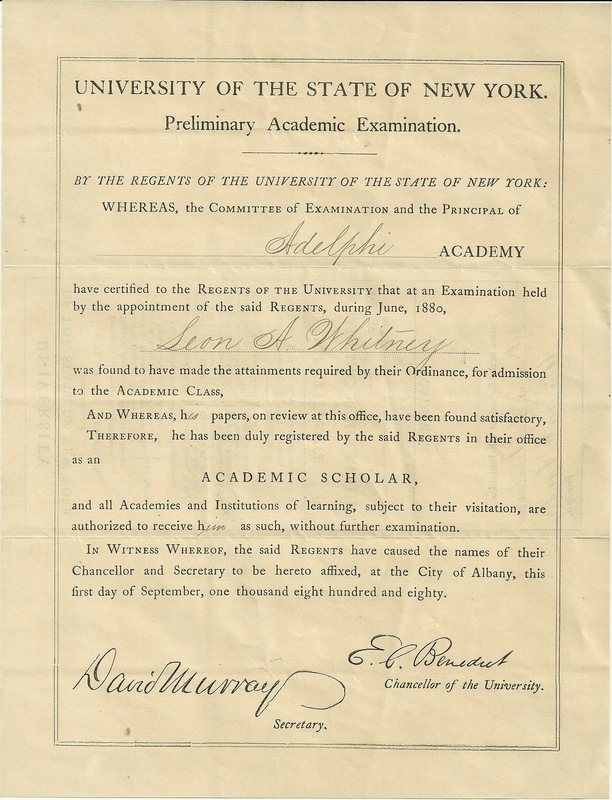 On 30 November 1892, Leon Augustine Whitney married Geneva Fradley, who was born in New York 13 April 1864, the daughter of Joseph and Jane Fradley. 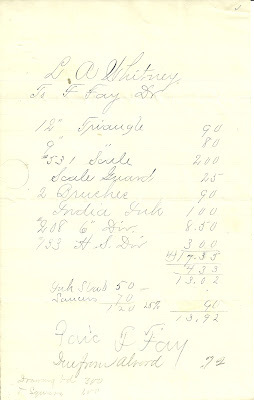 I haven't yet learned the names of Geneva's grandparents. 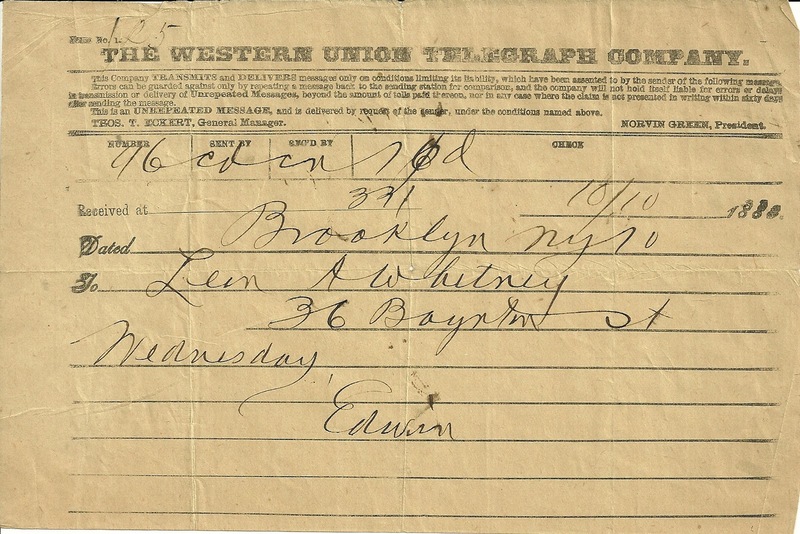 Leon and Geneva lived in Brooklyn, New York, and raised a family of, I believe, four boys. 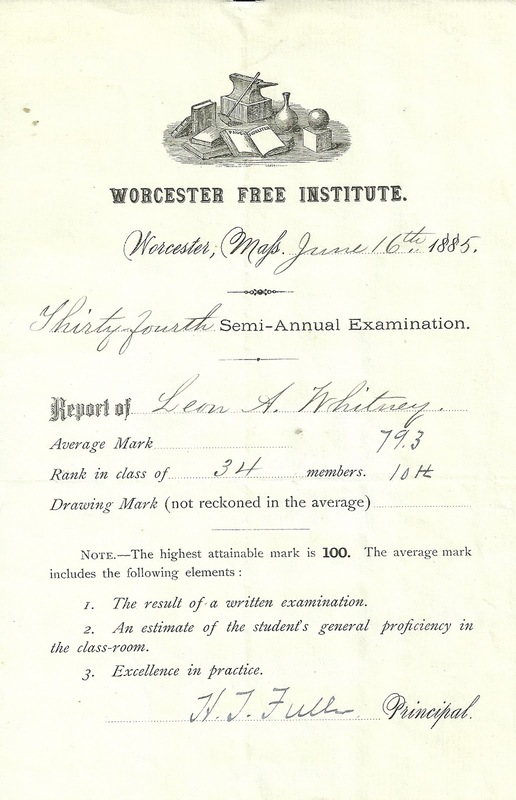 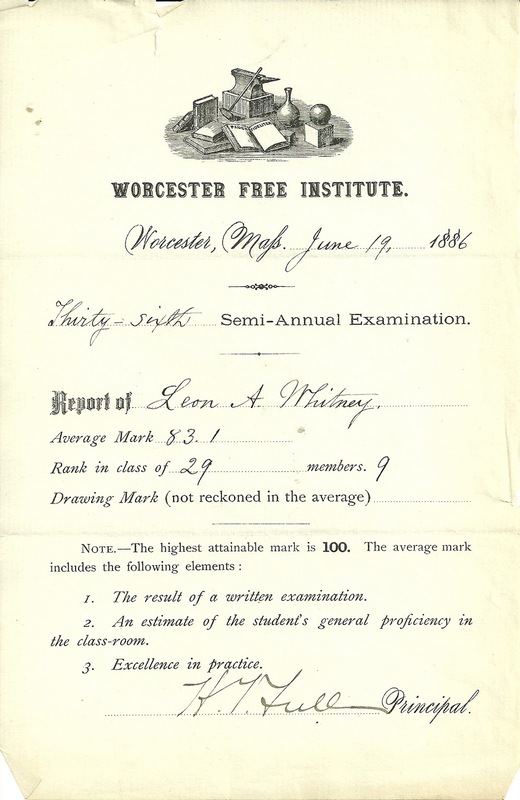 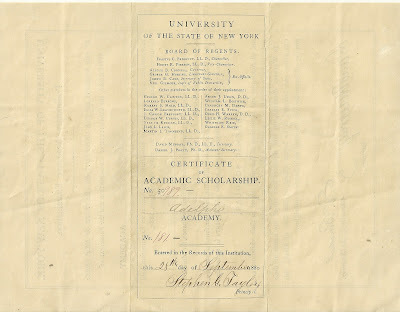 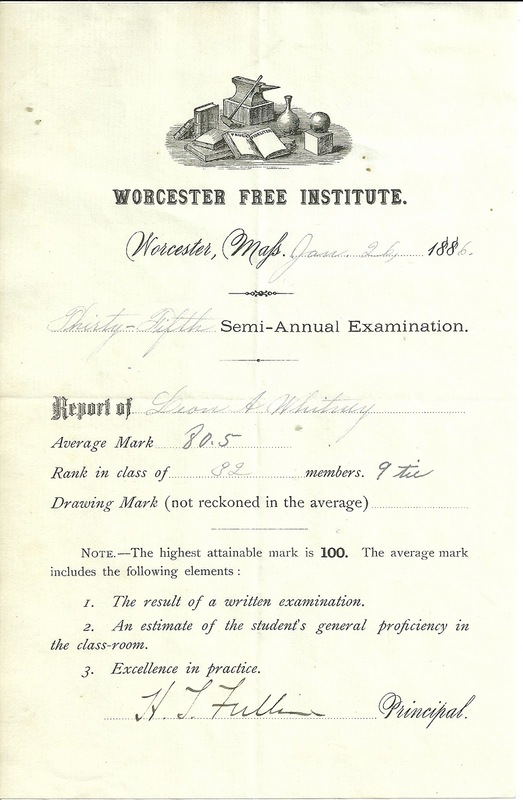 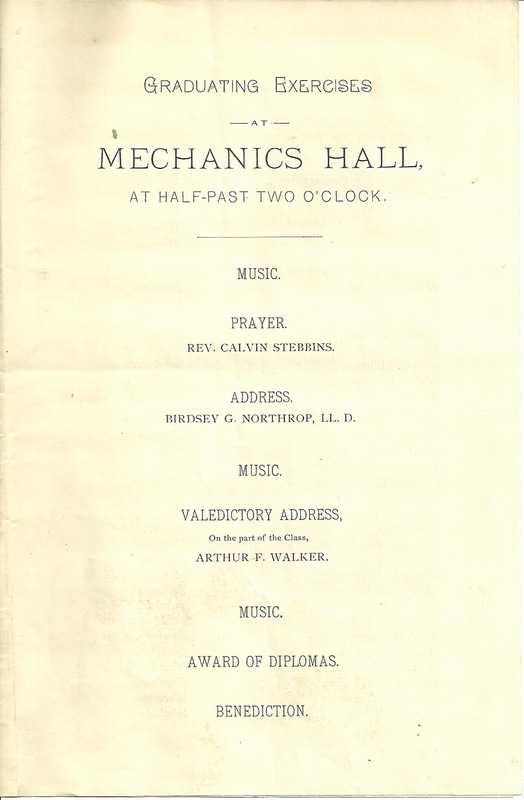 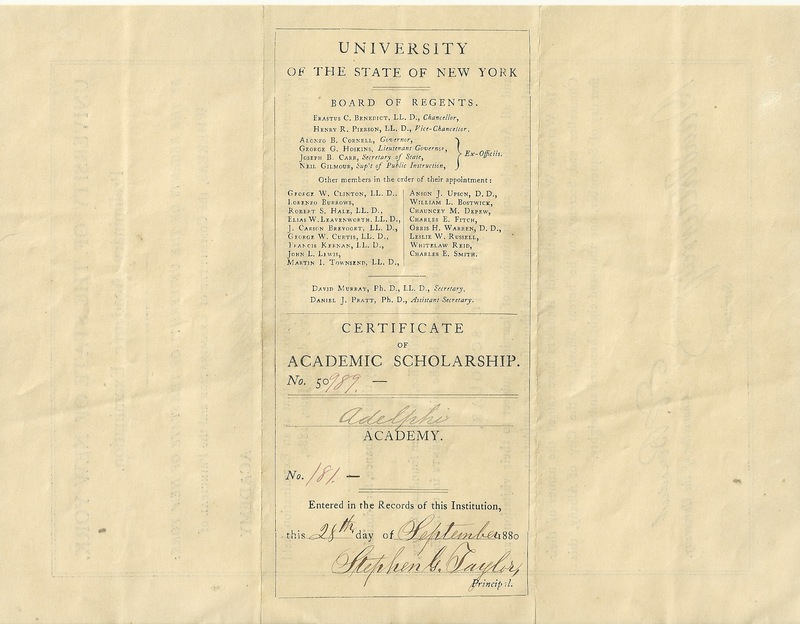 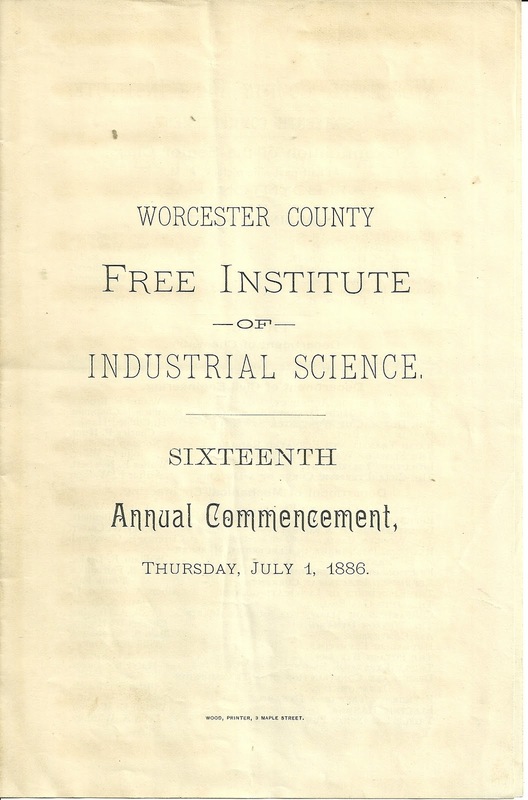 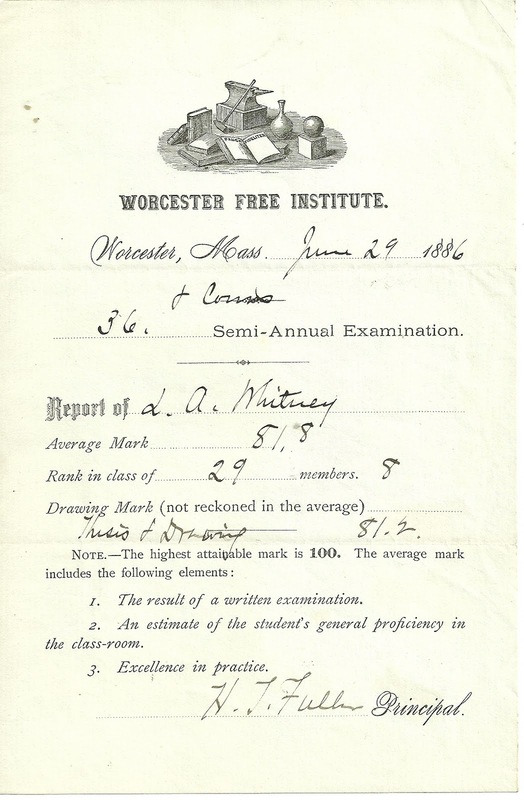 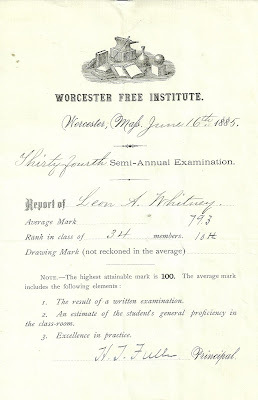 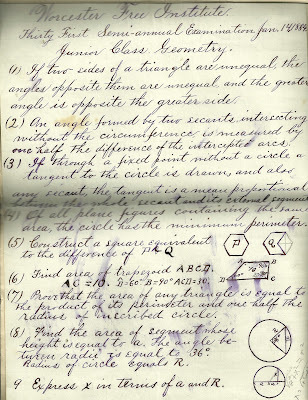 The academic reports show Leon A. Whitney to have been in the top third or better of his class at the Worcester Free Institute, where I understand he studied mechanical engineering. 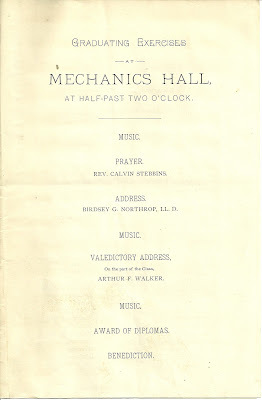 He later became a draftsman and designer in a large machine shop in the New York City area. 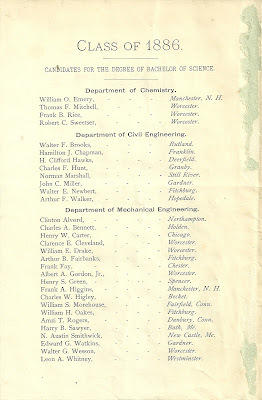 One online source indicated he worked in electrical contracting and that he and his family spent summers back at the family home in Westminster, Massachusetts. 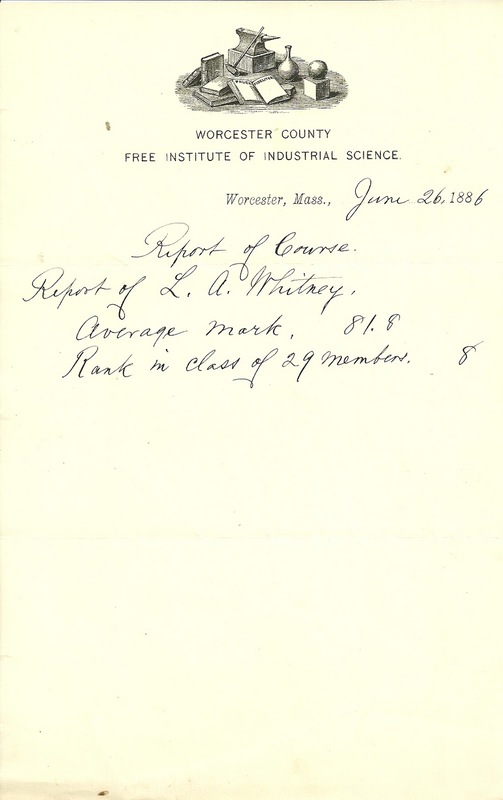 Leon Augustine Whitney died either in 1937 or 1947; I found both dates online. 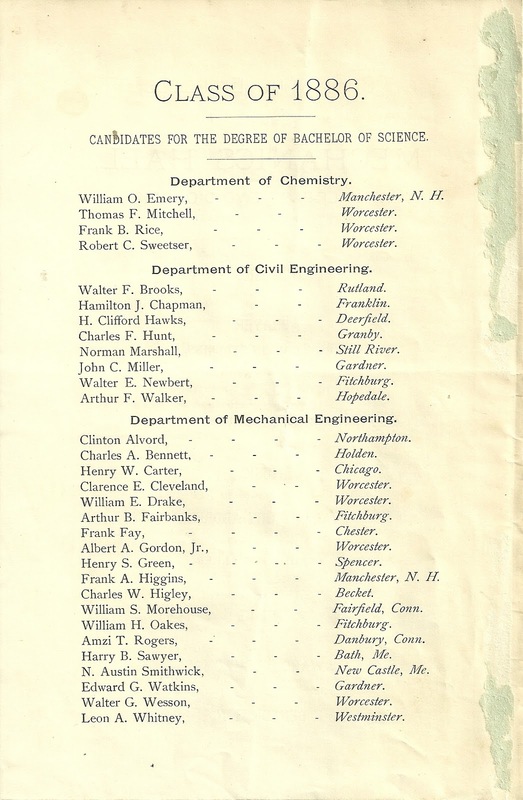 Geneva (Fradley) Whitney died on 11 June 1949. 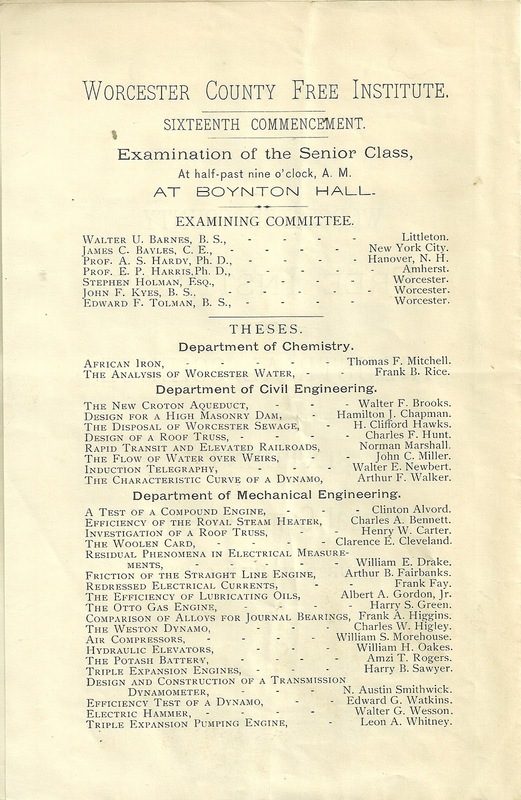 All of the academic reports are signed by the Principal H. T. Fuller, who was Homer Taylor Fuller, born 15 November 1838 in Lempster, New Hampshire, the son of Sylvanus and Sarah Maria (Taylor) Fuller. 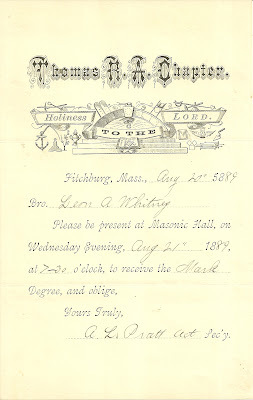 His paternal grandparents were Noah and Mary Asenath (Smith) Fuller. 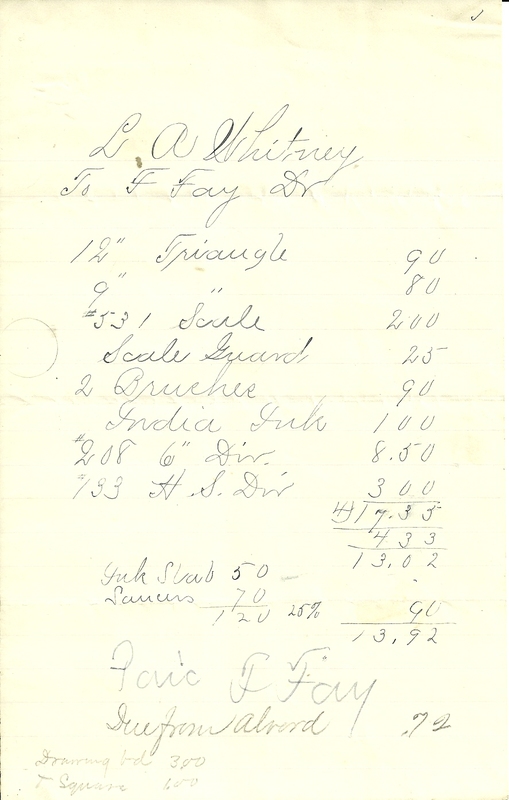 His maternal grandparents were John and Sally (Jones) Taylor. 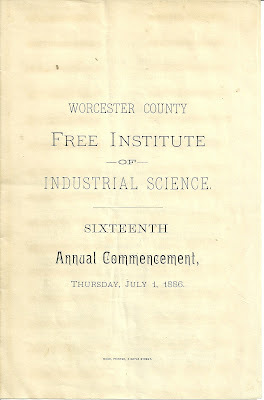 Here is a picture of him while still at Worcester Free Institute, several years after Leon Augustine Whitney graduated. 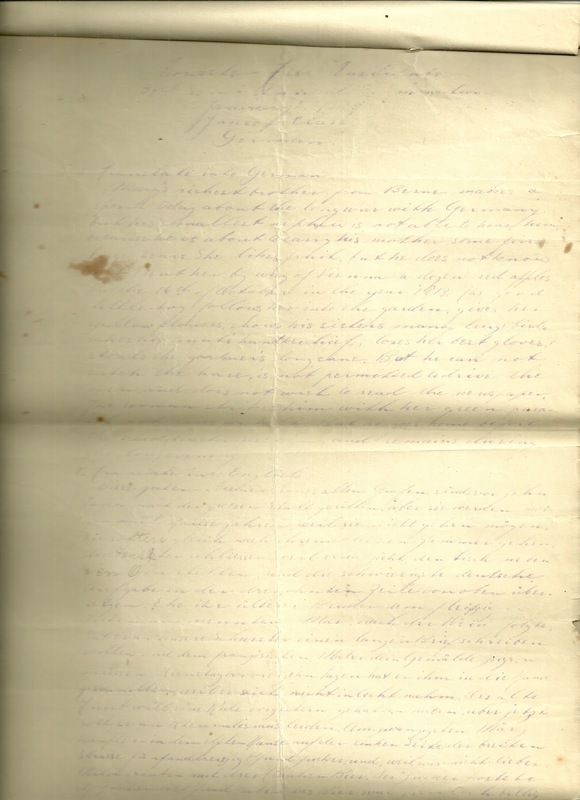 Homer Taylor Fuller married Amorette "Etta" Jones of Fredonia, New York on 15 June 1870. 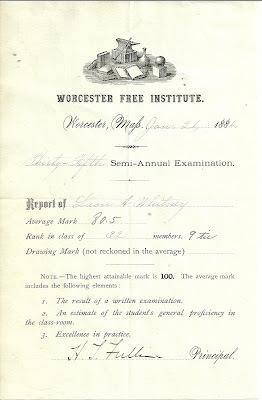 They had three children: Mary Breese Fuller, Henry Jones Fuller and Anna Taylor Fuller. 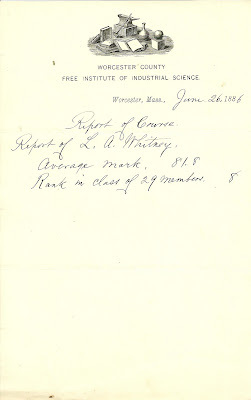 Homer died 14 August 1908 in Saranac Lake, New York. 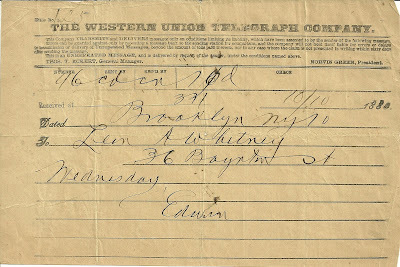 Etta died 26 March 1915 in Fredonia, New York. 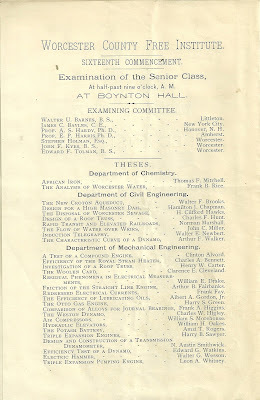 Here is a link to a bio of Homer Taylor Fuller. I'm so glad you came across this post to see your great grandfather's papers! 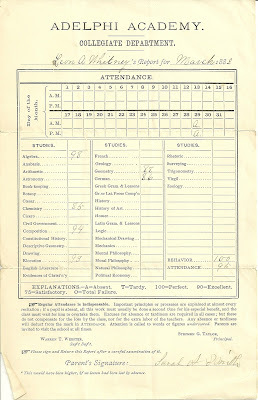 Thanks for letting me know.